Through the neighbourhoods of Paris, love is veiled, revealed, imitated, sucked dry, reinvented and awakened. A stunning line-up of internationally renowned directors and actors rediscover the city of Paris in a collective work about love. 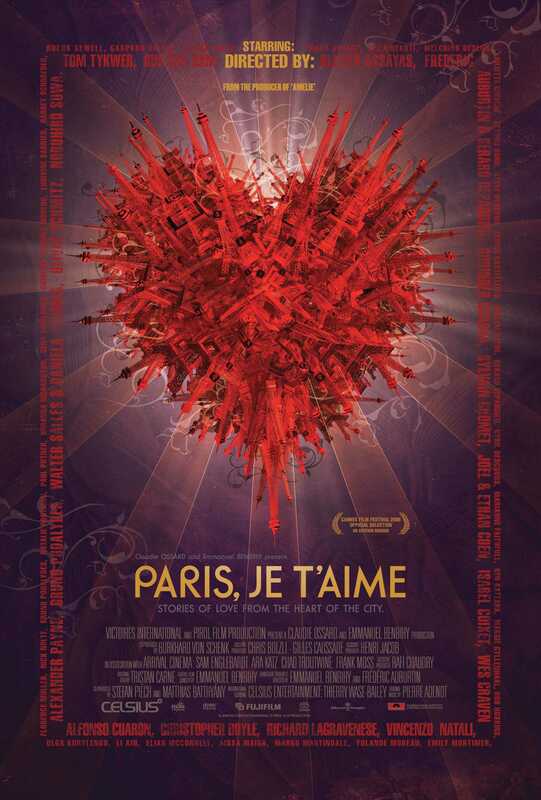 Celsius’ international poster [heart made of Eiffel towers] won the Best International Poster at the 2007 Key Art Awards in L.A [the Oscars of film marketing]. Thanks to Tim Grohne and the designers Trailer Park.